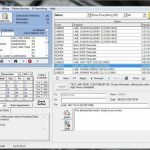 Amazing Charts is an Electronic Health Records Software (EHR Software), Medical Billing and Practice Management (PM) solution provider. Amazing Charts offers physicians the choice of both server-based and cloud-based systems. It is ideal for solo and small sized practices. 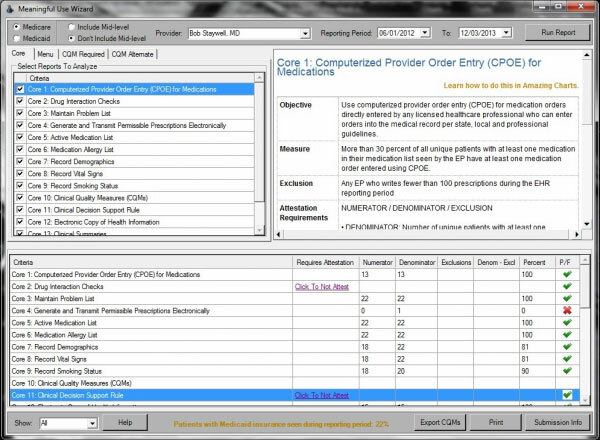 The software is ONC-ATCB certified for stage-2 meaningful use. 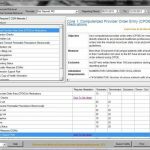 Features like Electronic Medical Records (EMR), Patient Scheduling, e-Prescribing, Inbuilt Templates, Patient Management and Medical Billing are included in the Amazing Charts EHR software package. 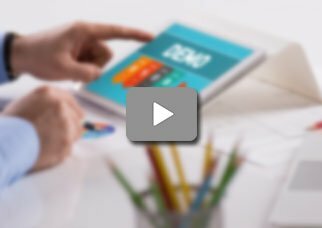 The cloud-based Practice Management functionality integrates with Amazing Charts EMR software for better efficiency in clinical documentation and financial management workflow. The inbuilt Revenue Cycle Management (RCM) and Billing system with automated benefits and Insurance eligibility checking let practices manage the entire patient visit with a single system. 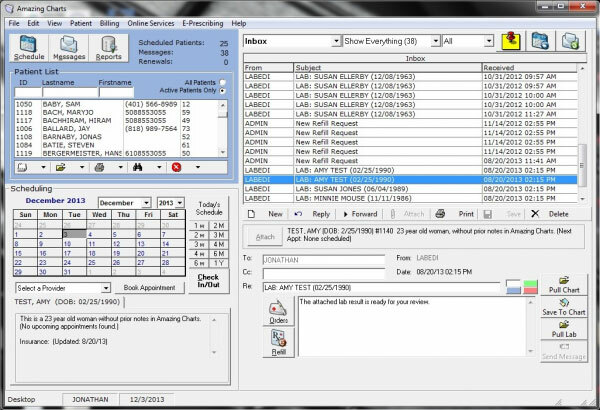 The EMR centralizes all key data into a single screen, just like a paper chart, allowing physicians to tab through patient demographics, summary sheets, previous visits, and account information. The company also offers Patient Portal services with the Amazing Charts software which ensures an increased level of interaction between Patients and Health Care Providers before and after their visits with full HIPAA compliance. 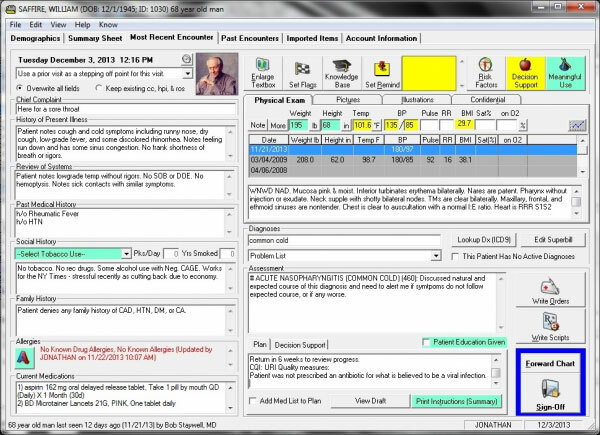 Patients can also book appointments, view their test results, and can share their medical history with other practitioners. 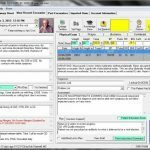 Pros: Budget EHR. Really helped us to achieve meaningful use incentives. Cons: They charge the same to full time users as they charge to part time. Verdict: Only recommended for buyers on a tight budget.